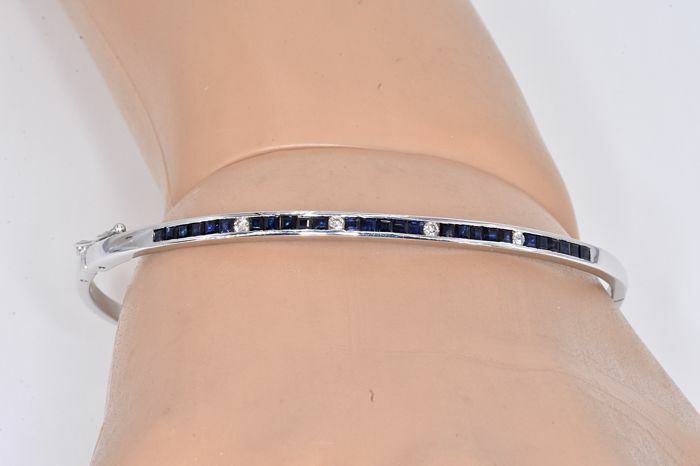 Exclusive 18 kt white gold bracelet, set with 1.69 Ct of Sapphires and round cut Diamonds. Exceptional lustre and clarity. Very professionally manufactured. Jewel for a lifetime. Double safety clasp, and robust mounting. 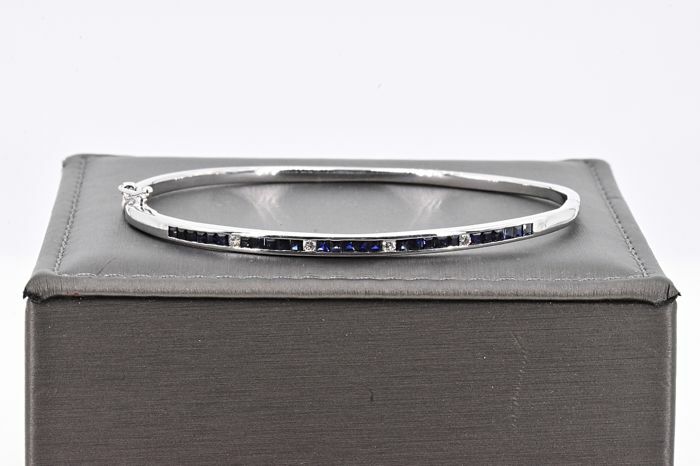 18 kt white gold, stamped: 13.3 g.